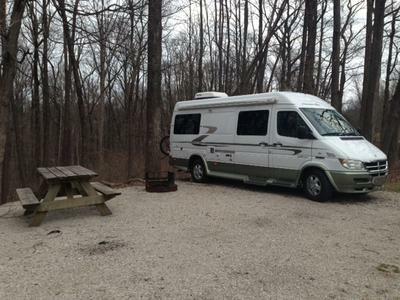 I've been on several 2-3 week trips with my own RV or with a rented one, mostly with my family. I will go away solo for 1 month soon. I intend to go on long term trips when I retire which I wish to be as soon as possible. I've also traveled a lot in the world (not RVing), alone for some on my trips. Here's what I would like to share here: I would probably not have started my biggest projects if I had known in advance all the obstacles I would have to face... I'd say my 2 biggest projects were to sell everything in Europe and emigrate to America (I've been here for 18 years now), and to adopt my son from Russia while living in the US, being a French citizen, and while not being a US citizen yet. For both it was a lot of work and I did have obstacles. I think the same of long term RVing: if you've been dreaming about it, just go! (like you and Randy did). There will be issues but if you are resilient you will overcome them and you will keep going, or you may stop but at least you will have tried. You will be enriched one way or the other. If you think too much, you might not even start anything which is too bad. My moto as a solo traveler now has been: "better alone than not at all". Take care and enjoy your future trips! Great words of encouragement and advice to go along with one of my favorite sayings which goes something like this: "Life is a series of experiences....eliminate your fears and live them!"